Coal is loaded at the North Antelope Rochelle coal mine in Wyoming. In the SEC filings Peabody said without that sale it may not be able to meet its financial obligations. While Arch Coal, Patriot Coal, Alpha Natural Resources and others have declared bankruptcy, Peabody Energy is putting up a fight. This week the company announced a small reduction of staff. 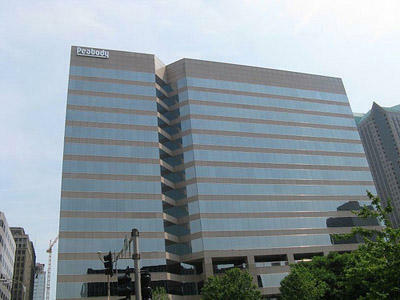 That includes laying off 15 of the company's 375 employees at its downtown St. Louis headquarters. But only time will tell whether Peabody's efforts to cut costs will keep it out of court. Would bankruptcy mean fewer employees in St. Louis? It could. But I would expect that the jobs that they could have shed at headquarters they would do before bankruptcy in an attempt to survive. You try to cut so that you can survive, so I’m not sure how many jobs would be left that you could cut. Would Peabody’s three mines in southern Illinois see layoffs? Honestly, it’s a little tough to say right now because the coal markets are really dour for all coal basins. I would say it comes down to sort of a mine by mine question. So you wouldn’t see broad cuts, because that would affect their production. Better mines are probably more insulated from potential cuts. Mines that are higher cost or make a lower quality coal could be in more danger of either production cuts, which would mean job cuts or even a shutdown. I would say Illinois Basin coal in general has done ok in the last few years because they’ve been benefiting from taking share from Appalachian coal. Appalachian costs for thermal purposes (electricity production) are very high and continue to rise, so Illinois Basin has benefited from that somewhat. Will Peabody shed mines in a bankruptcy? That would make sense if the M & A (mergers and acquisitions) market for coal was good, I would definitely say that was an option and a likely event. But given how difficult it’s been for Bowie to find the financing, I don’t see the appetite for M & A of coal mines to be very strong right now. The problem is getting the financing to fund those deals, and I doubt any buyer would want to pay a big equity check for coal mines right now. It puts a sort of roadblock in terms of selling the mines, unless you’re willing to sell at fire sale price, which wouldn’t make much sense, so I’m not sure you’re going to find many buyers. What about environmental reclamation costs of mines? Filing with Peabody would definitely involve a lot of infighting between the different debt levels. Environmentalists were very involved in Arch Coal's filing as well. They want to see the full reclamation cost being considered immediately, moving up the priority chain with you will. But I think with Arch’s recent court-approved financing there was only a portion of that reclamation that got filled. (Wyoming officials reached a deal with Arch in February to accept up to $75 million in lieu of the $486 million Arch was self-bonded for.) So it’s the court kind of giving into a view that these companies should survive going forward after a restructuring. 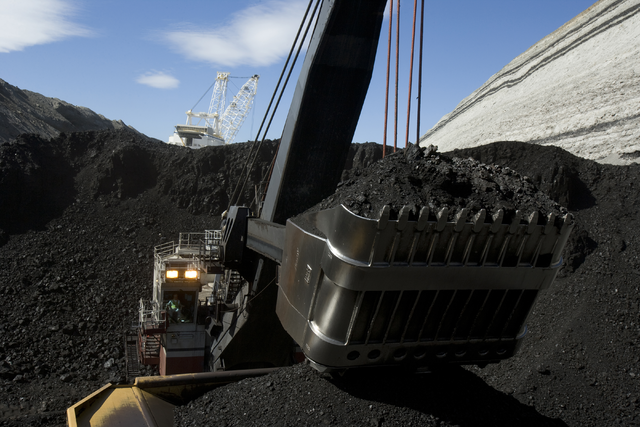 Will Peabody remain the largest privately-held coal company in the world? To be honest, if I were an investor, that title doesn’t mean that much to me. I would rather you be the most profitable coal miner in the world than the biggest. Being biggest doesn’t mean much if you’re not profitable. I think there is a future, but it’s just smaller than what it has been in the past. If you look just several years ago, coal’s share was like 40 percent of electricity here in the U.S., and even further back it was about half and even more than that. But as technology evolved, the biggest one being fracking and the introduction of a massive supply of low cost natural gas here in the U.S., coal’s competitiveness has changed a little bit. When [natural] gas is $2 or under like it has been, it has the advantage. 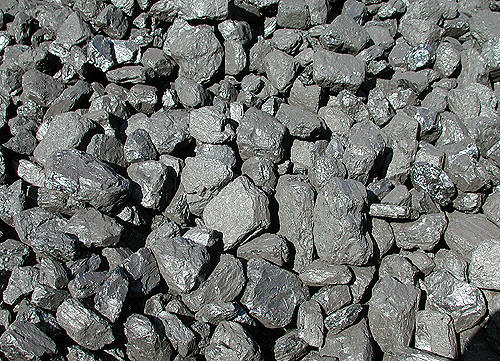 There is a place for coal because it’s so plentiful here in the U.S., and it gives the U.S. a little diversification in terms of energy sources. It’s economical, but with the advent of these other sources it’s going to be a smaller contributor than it has been in the past.